Need more information on Ronline Group Co Ltd in China located in Shanghai? 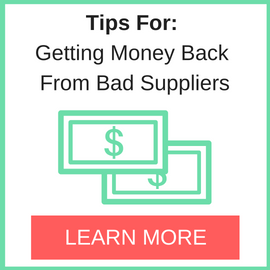 If you’re considering doing business with this company, read below to read one buyers experience with when they were looking to source Paddock Cleaner from them. 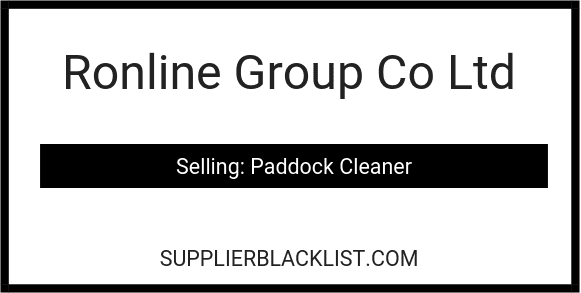 You will also find some links to help you find more related information about Ronline Group Co Ltd in China on Supplier Blacklist and on Google as well as other bad suppliers of Paddock Cleaner reported here on SBL. On 3.11.2017 we made an order of 20pcs of paddock cleaners, pay 40% deposit and before the shipment the rest 60%, all the time we communicate with Richard Chan, and he suggest me very low cost shipment. But it was first order from them, so we decided to order shipment from our logistic company, from that time onward the communication was not so good as before and shipment was delay but finally left China. We did not get all documents in time and when we open the container we find only 10pcs of the cleaners. We never get missed 10pcs. back, we try to contact Made in China, but they never help us and didn’t cancel Ronline Group from then website at the time, after we ask one company in Czech. They have agent in Shanghai, to help us with this case, they deal with Shanghai authorities and Made in China, so finally Made in China delete Ronline Group from them website, but till now we did not get our product or money back. So we are thinking send Ronline Group to court of justice, if anybody have similar experience please contact us, we can make accusation together. Need More Info on Ronline Group Co Ltd in China? If you need more information, you can click the below links to search for more submissions about Ronline Group Co Ltd in China on Supplier Blacklist as well as go to the search results page on Google for more reviews online about this company. 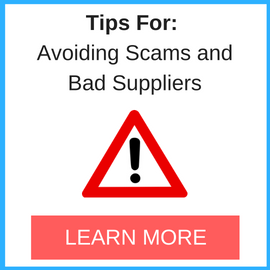 Perform a Supplier Blacklist search for more reviews on Ronline Group Co Ltd in China. Search Google for Ronline Group Co Ltd in China Reviews.